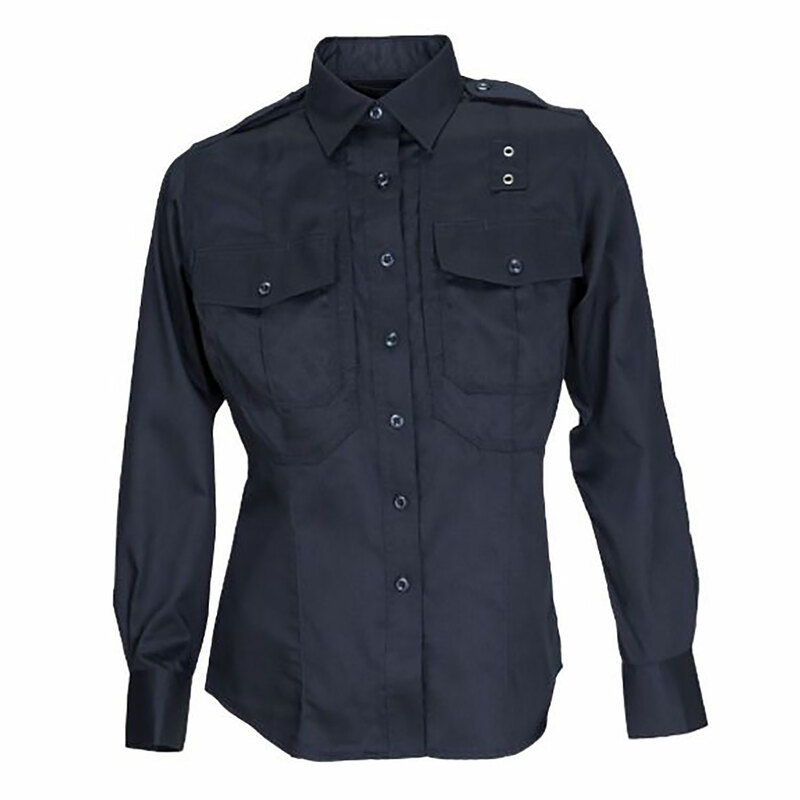 5.11 Tactical Women's Patrol Duty Uniform Long Sleeve Shirt - B Class, Oversized is sure to meet the demands of your job. This 5.11 Tactical Apparel made out of a durable 5.78 oz twill, Teflon treated 65% polyester / 35% cotton fabric that is shrink, fade and wrinkle resistant. These B Class PDU Shirts from 5.11 are made to keep you looking good all day. With permanent creases, YKK zipper front, adjustable cuffs and hidden document pockets, 5.11 PDU Shirts are not only comfortable but made to last.